ABS plastic is largely used in the signage industry for its durability and light weight. We use 0.9 mm thick for most jobs, whether screenprinted or applicated with vinyl, although thicker ABS is available when needed. 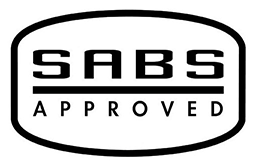 All our Fire and Safety symbolic signs are SABS Approved. SYMBOLICS’ SIZES : Standard 150 mm square, 190, 290 and 440 (the most commonly used being the 290mm square). 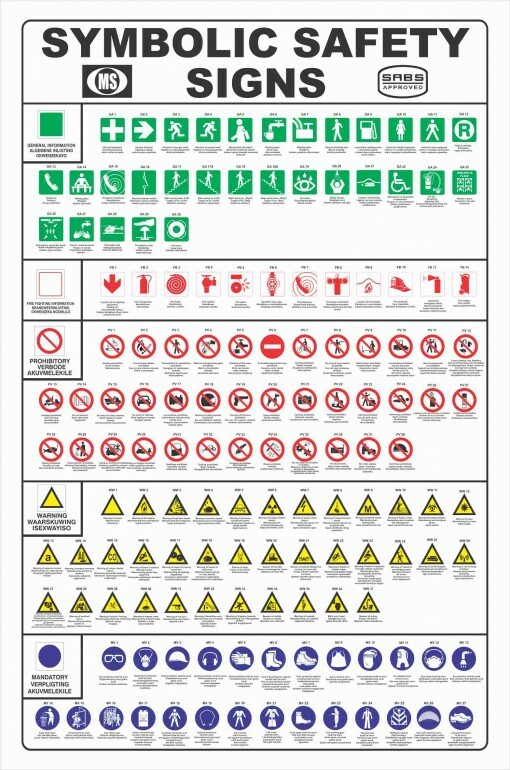 An ABS 600 x 900 mm SYMBOLIC CHART is also available in english showing the complete set of symbols with their meanings and codes, especially for inside factories where employees may be unaware of what a particular warning sign (for example) may mean when it is relevant to work carried out there.